The University of Richmond Law Review is proud to present the thirty-second issue of the Annual Survey of Virginia Law. 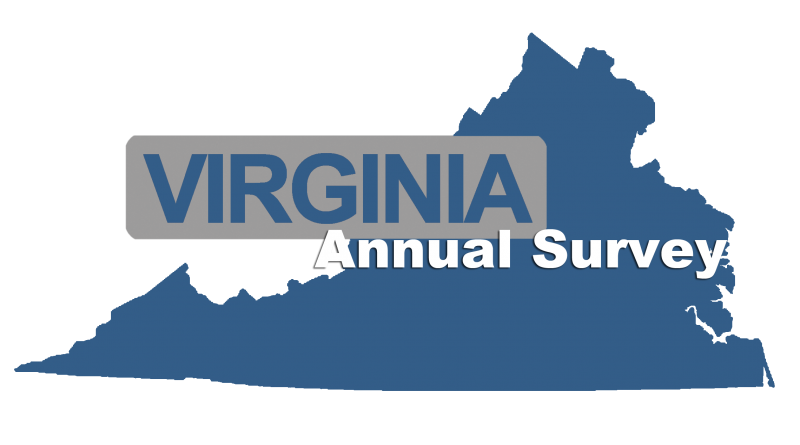 The Law Review published the first issue of the Annual Survey in 1985 to provide a resource detailing legislative, judicial, and administrative changes to practitioners and students in the Commonwealth of Virginia. Our mission remains the same today. Now, the Annual Survey is the most widely read publication of the University of Richmond Law Review, reaching lawyers, judges, and legislators in every corner of the Old Dominion. With this in mind, we selected articles and essays we think are invaluable for keeping our readership abreast of the most important updates to Virginia law. This article serves (hopefully) as a practical update on recent changes in Virginia civil practice and procedure. It does not attempt to capture every such change, but the goal is to present the significant points from Supreme Court of Virginia decisions as well as amendments to the Rules of the Supreme Court of Virginia and relevant statutes. Some of the discussion also focuses on certain procedural issues that may not have significantly changed but that a practitioner likely will not face often and could otherwise be a fatal trap for the unwary. This article aims to give a succinct review of notable criminal law and procedure cases decided by the Supreme Court of Virginia and the Court of Appeals of Virginia during the past year. Instead of covering every ruling or rationale in these cases, the article focuses on the “take-away” of the holdings with the most precedential value. The article also summarizes noteworthy changes to criminal law and procedure enacted by the 2017 Virginia General Assembly. Another year of family law activity in Virginia brought both new legislation, which will likely have long-term impacts, as well as a new set of judicial opinions that will bring changes to the Virginia rules. The terrain covered in the legislation and opinions varies, but it includes certain fixtures such as marriage and divorce requirements, equitable distribution, spousal and child support, and child custody. This brief overview addresses all these areas, beginning with the legislative changes and then moving to the courts. This article reviews significant recent developments in the laws affecting Virginia state and local taxation. Each section covers legislative activity, judicial decisions, and selected opinions or pronouncements from the Virginia Tax Department (the “Tax Department”) and the Virginia Attorney General over the past year. The Supreme Court of Virginia has handed down seven recent decisions addressing the authority of an agent to change the principal’s estate plan, legal malpractice claims in estate planning, rights of incapacitated adults, limits of the constructive trust doctrine, effects of a reversionary clause in a deed, ownership of an engagement ring, and proof of undue influence. The 2017 Virginia General Assembly clarified rules on legal malpractice and tenancies by the entireties, adopted the Uniform Trust Decanting Act and the Uniform Fiduciary Access to Digital Assets Act, and expanded provisions governing estate administration, life insurance, and advance medical directives. Other legislation affecting wills, trusts, and estates included clarifications and technical corrections relating to augmented estate claims, non-exoneration of encumbered property, administration procedures, life insurance, adult financial exploitation, death certificate amendments, and spousal exemptions from real estate tax. It has been called the most significant piece of legislation benefiting individuals with disabilities since the 1990 passage of the Americans with Disabilities Act. The Stephen Beck Jr., Achieving a Better Life Experience (“ABLE”) Act created a tax-advantaged savings account for individuals with eligible disabilities that permits, for the first time, these individuals and their families to save for their daily and future expenses in meaningful amounts without affecting their eligibility for Supplemental Security Income, Medicaid, and other public benefits. The ABLE Act is local in its origins and its passage in December 2014 was profoundly bittersweet. These words of Judge Humphreys, denying a 2016 child custody appeal, are cogent. Yet four months later, in another appeal, Judge Humphreys joined a unanimous decision overturning a common provision in a custody order. In Bonhotel v. Watts, the Court of Appeals of Virginia held that judges cannot delegate judicial decision making power in child custody cases to outside professionals. This sounds obvious, but such delegation is actually ordered all the time. In final orders, Virginia’s trial court judges frequently give discretion to guardians ad litem (“GALs”), as well as therapeutic counselors, to determine issues such as the frequency, length, and substance of parent-child visitation. The General Assembly amended section 17.1-258.3:1 of the Virginia Code in 2017 to provide that “[a]ny clerk of a circuit court with an electronic filing system established in accordance with this section may charge a fee not to exceed $5 per instrument for every land record filed by paper.” The amendment also deleted the five-dollar fee that Code section previously authorized for electronic recordation of any instrument. The obvious purpose of the amendment is to encourage electronic filing of land records where possible. Calls for reform to the Virginia criminal discovery rules have been occurring for over a decade. Those calling for reform were optimistic after the Supreme Court of Virginia put together a special committee to propose new reforms to the current criminal discovery rules. The Special Committee on the Criminal Discovery Rules (“Special Committee”) spent nearly a year debating new proposed rules for criminal discovery and presented their final report to the Supreme Court of Virginia on December 2, 2014. However, on November 13, 2015, the Supreme Court of Virginia declined to adopt the changes proposed by the Special Committee in a short, two-sentence order.